The new faces of communications as chosen by our readers and editors. 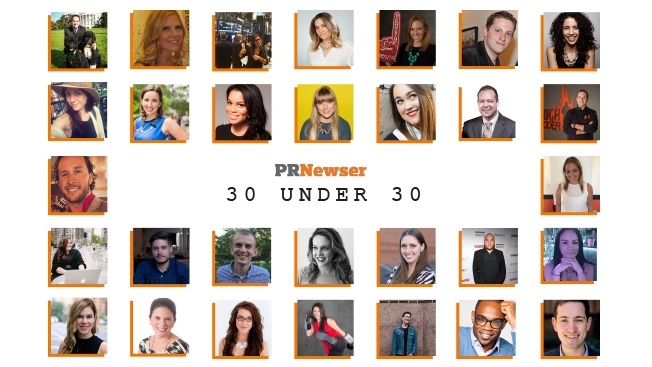 Four months ago we decided to run our own 30 Under 30 list for the public relations industry…and today it finally went live on Adweek! Some necessary, super-boring backstory: the main reason I decided to make this project happen was because a contact suggested it and I liked the idea. But there’s also the worst-kept secret in media: communicators deal with a lot of flack from journalists even when they’re doing their jobs well. I’ve done it myself more than once despite the fact that I have worked in PR in the past and I work with PR every day. But here’s an undeniable fact: there are a lot of talented people doing great work in this business, and we wanted to recognize them. Thanks to everyone who participated, to my lovely wife for some crucial help in sorting through the entries and data, and to editor Stephanie Paterik and designer Dianna McDougall of Adweek (who created the great image on this post) for their last-minute assistance in making it happen. Ben Johnson, Director of Global Communications, Tough Mudder Inc. Since this blog is part of the Adweek network, you’ll need to click through to see the whole thing if you haven’t already.